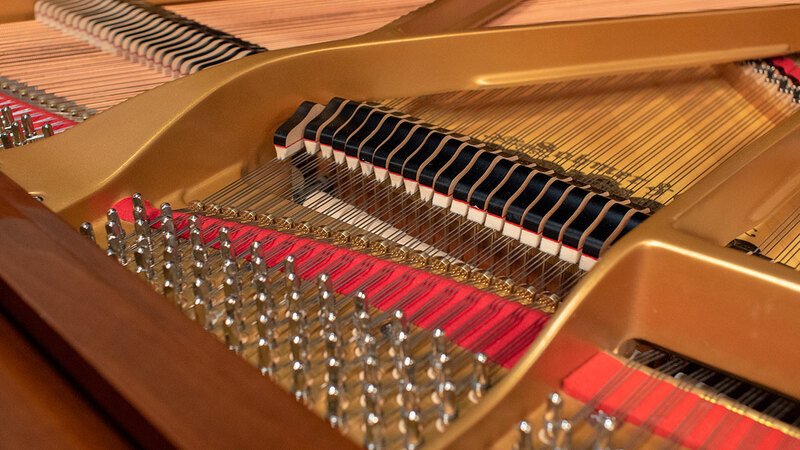 This is a very interesting piano! 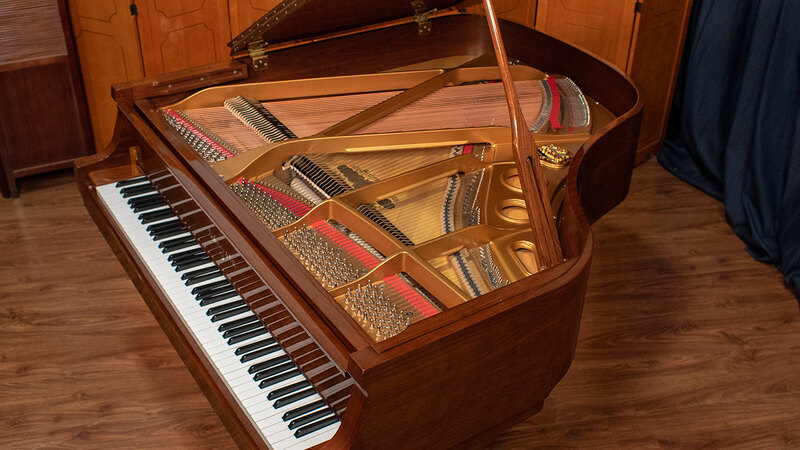 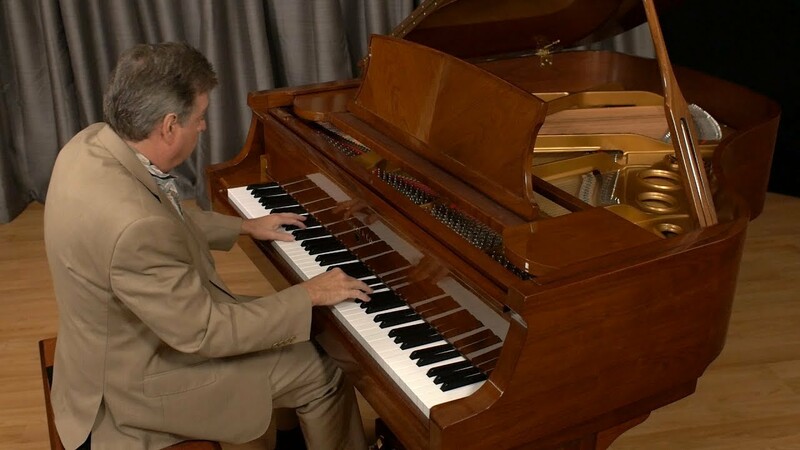 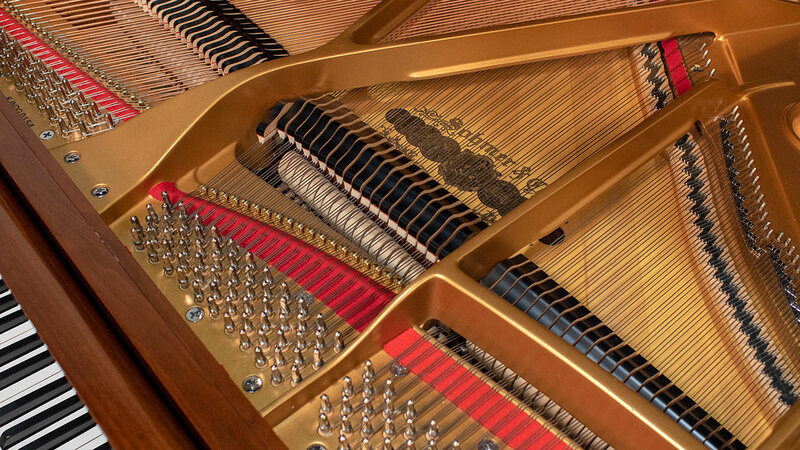 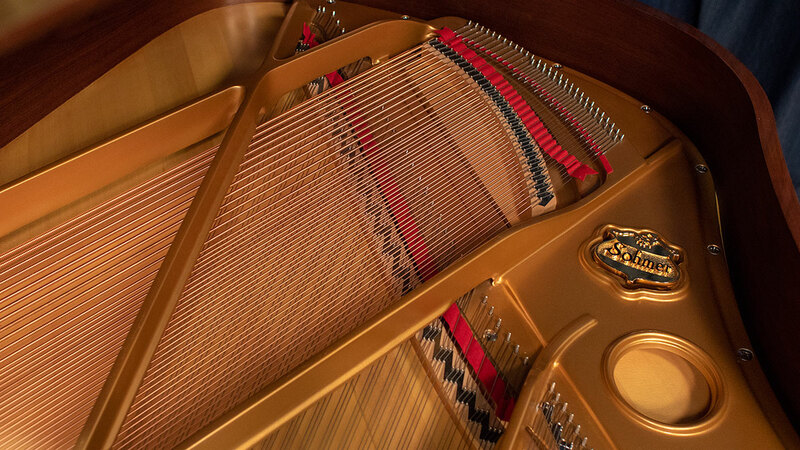 It’s a Sohmer built by Samick with a scale design very similar to the great Knabe pianos from year’s past. 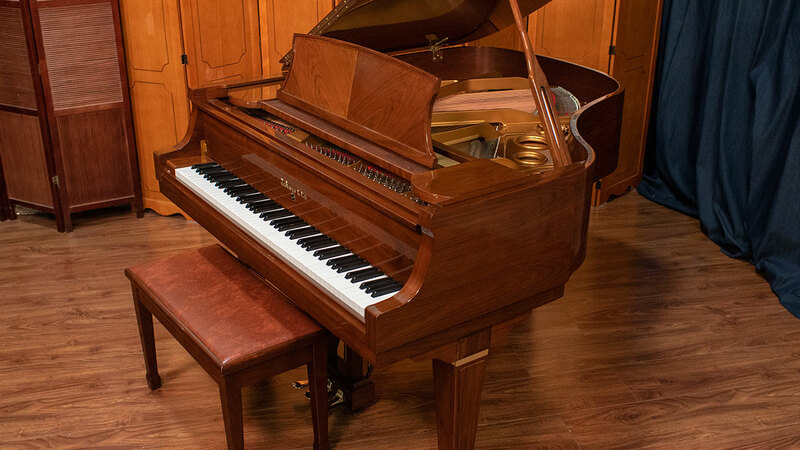 The original owner took loving care of it and it has had gentle use all of its life. 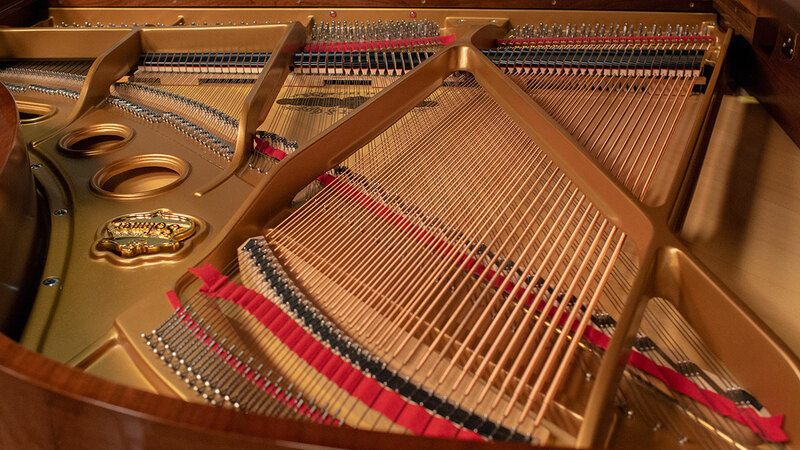 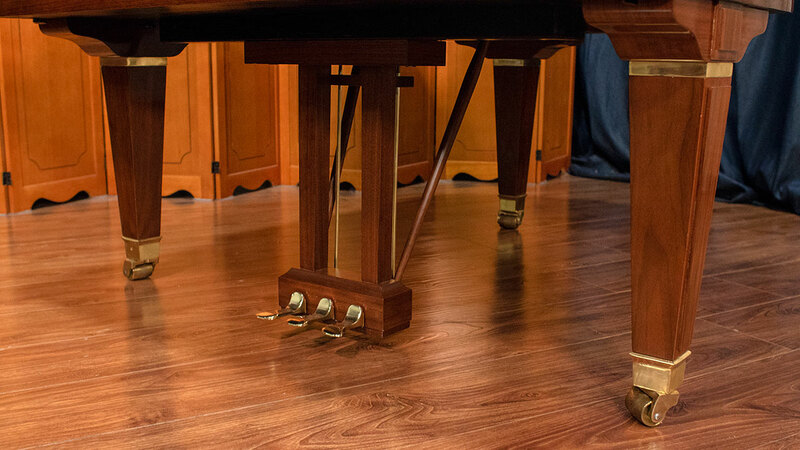 A completely original piano with a rich and warm tone, this is a pianist’s piano. 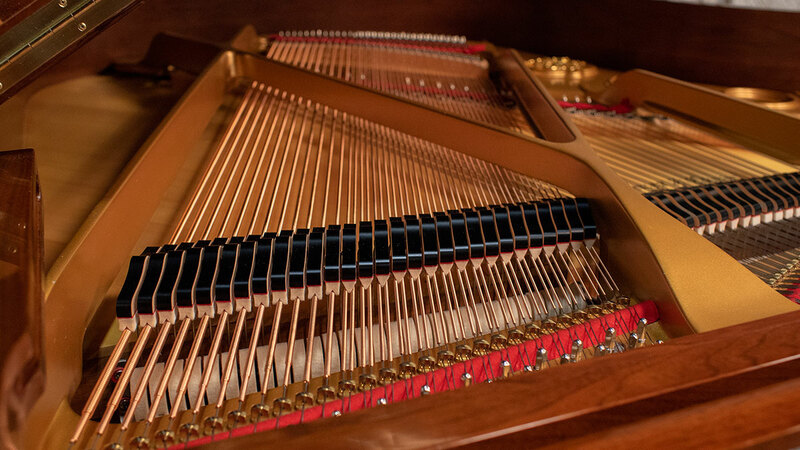 We were delighted at how wonderful sounding the piano came out after our technicians performed fine voicing and regulation of the instrument. 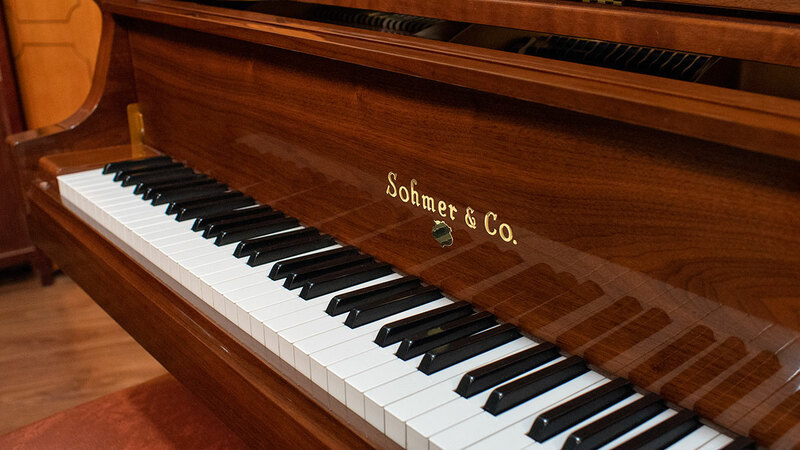 Sohmer was one of the great American piano companies. 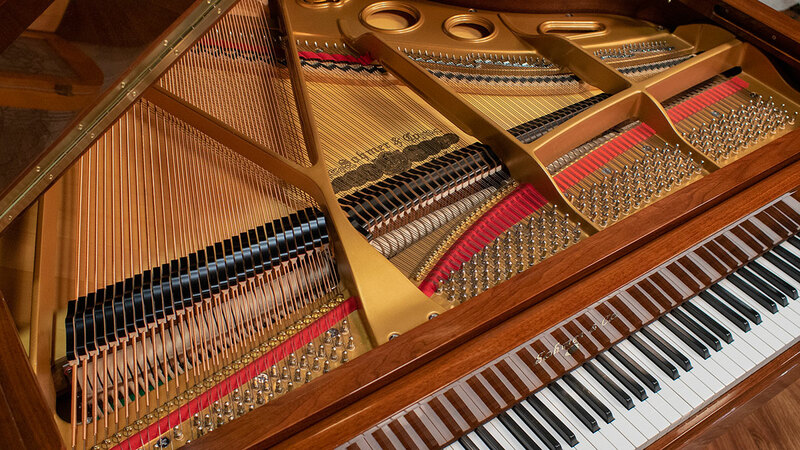 Samick has taken cues from the classic, American pianos with a wide tail which offers more soundboard area enriching the sound. 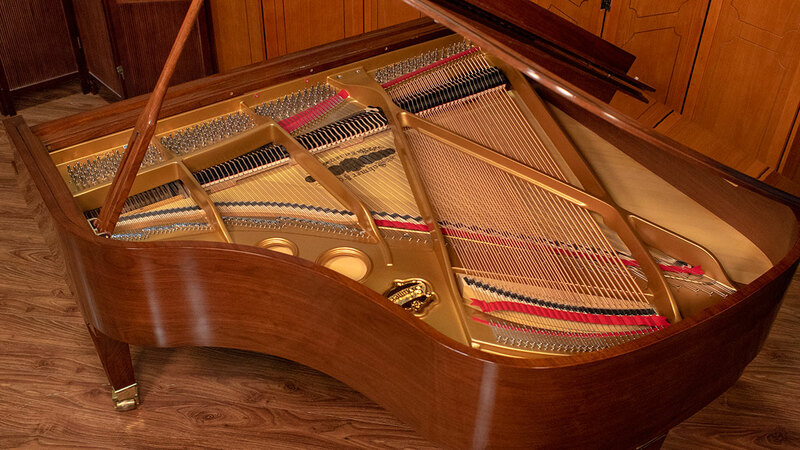 This piano has an attractive case with brass banding on the legs and a book-matched music desk which is reminiscent of the art deco era. 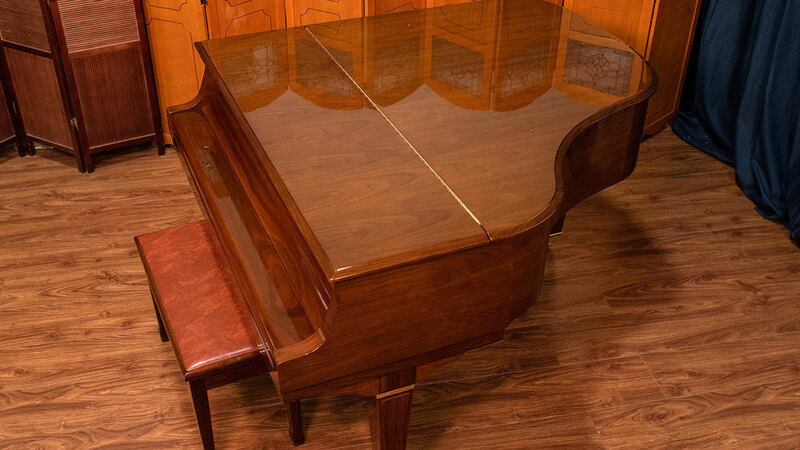 This piano is sure to stand out in your living room or wherever you put it. 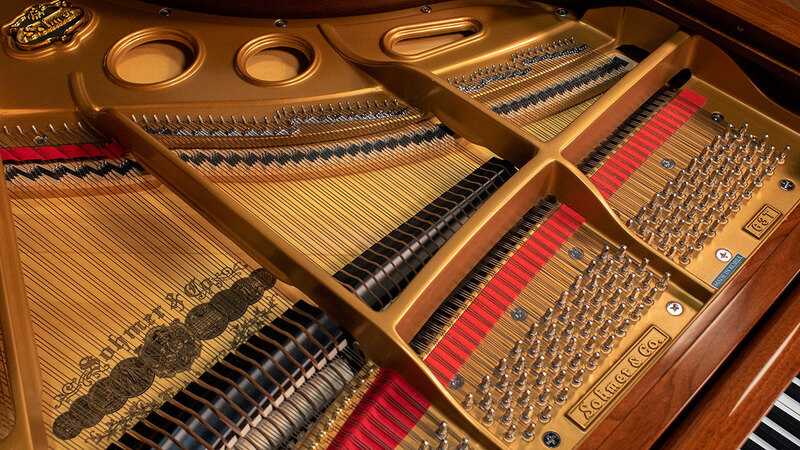 What a beauty both musically and aesthetically!